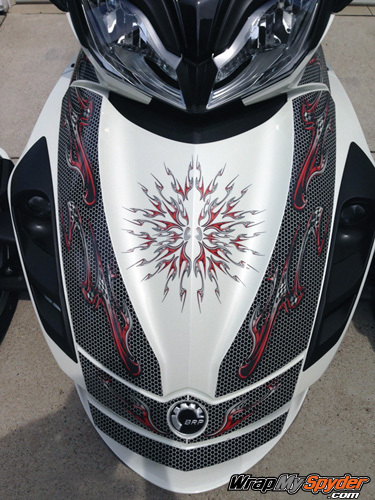 Looking to add some style and color to your machine? 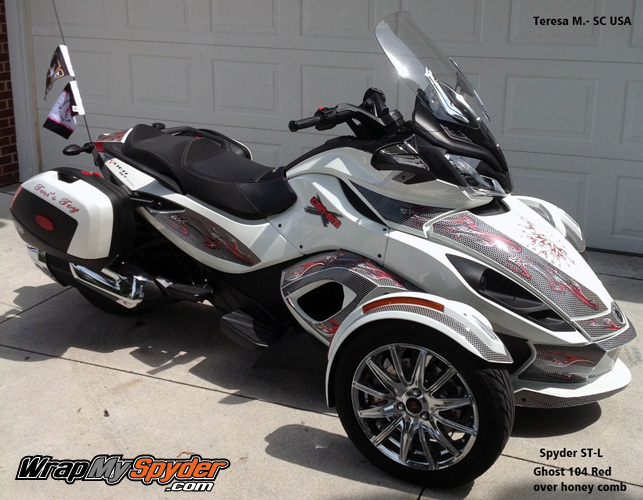 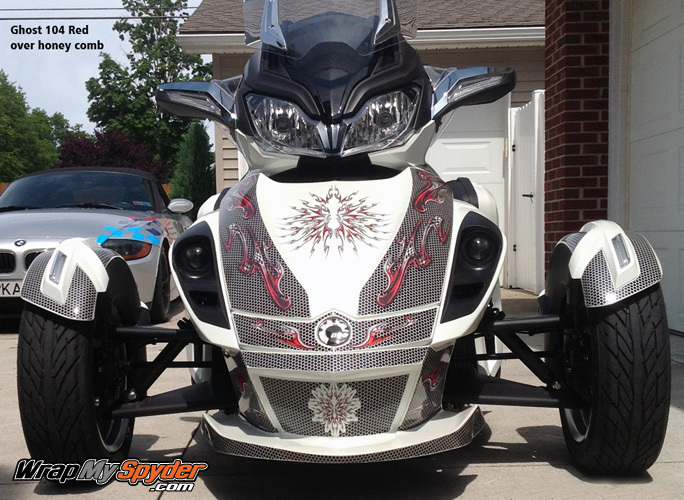 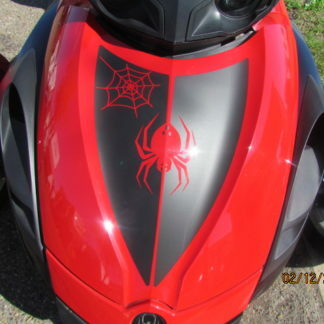 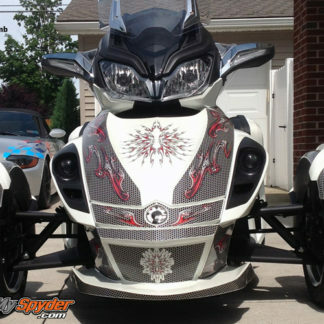 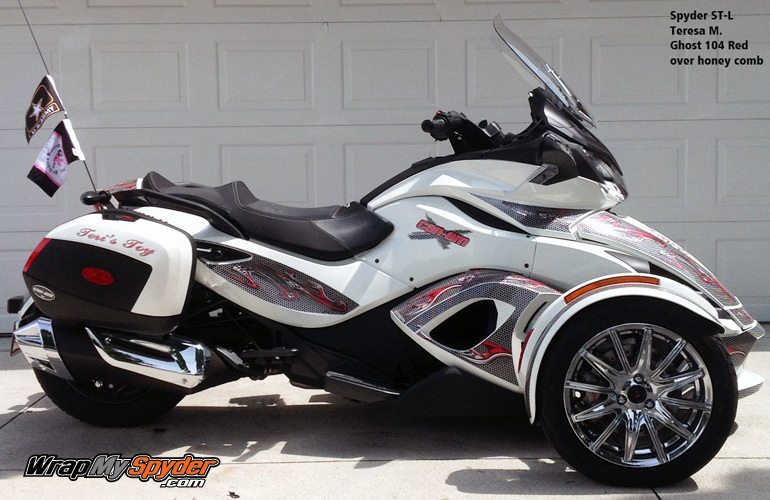 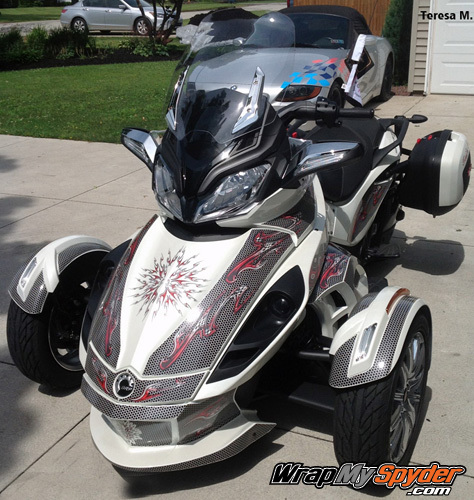 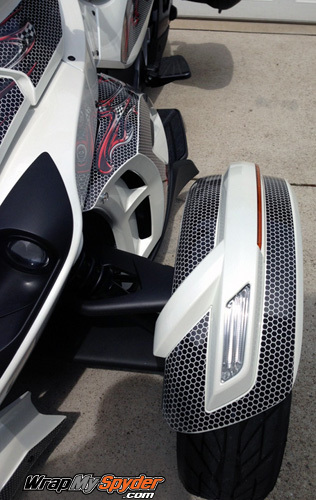 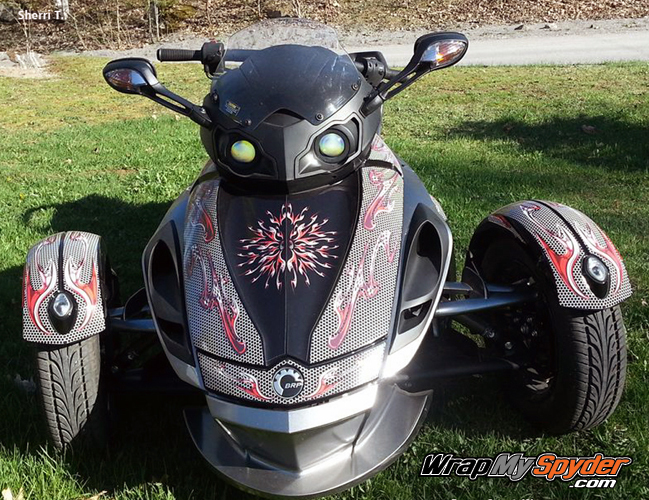 Check out our Ghost 104 Red over honeycomb pre-cut wrap for your Spyder. 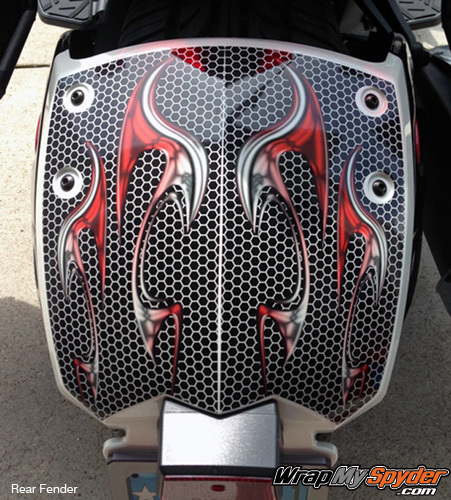 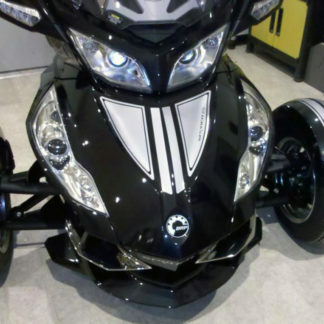 As you can see this kit has lots of pieces and creates a totally custom look on the bike. 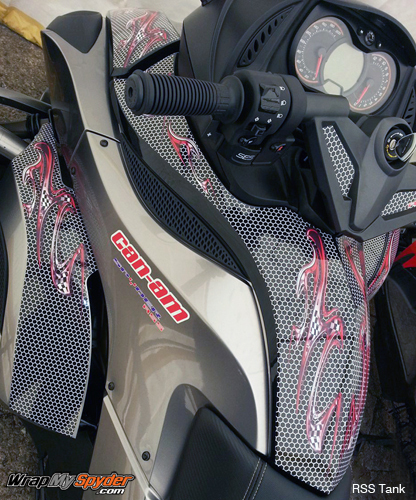 This kit looks especially good on White machines because the transparent film allows the metallic color of the bike to show through the film. 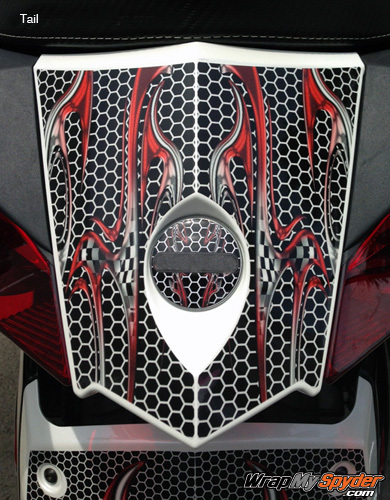 You receive all the pieces you see in the photos. 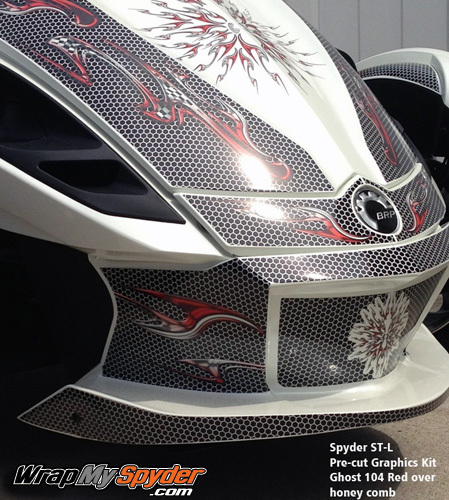 Easy peel and stick application using the wet method to apply this kit. 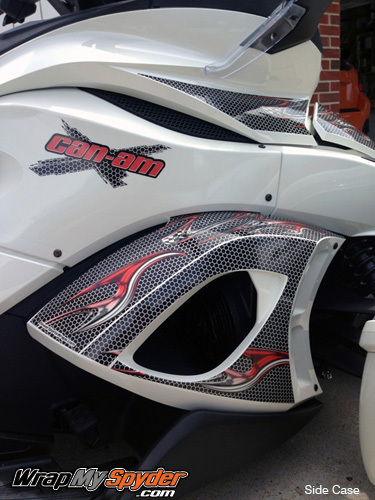 We can also produce the kit on solid film for machines that are not White contact us with any questions or requests. 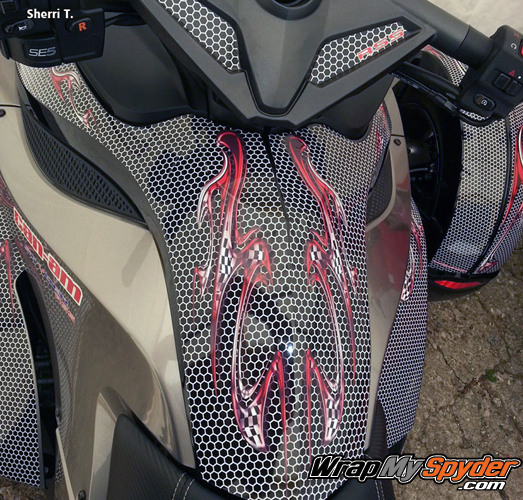 Make your bike a show stopper by adding our all new Ghost 104 Red Honeycomb wrap today..